Today was an incredible day at ACA. We met at our flagpole this morning with all of our staff, students, and families to pray and to worship our Great and Mighty God together. 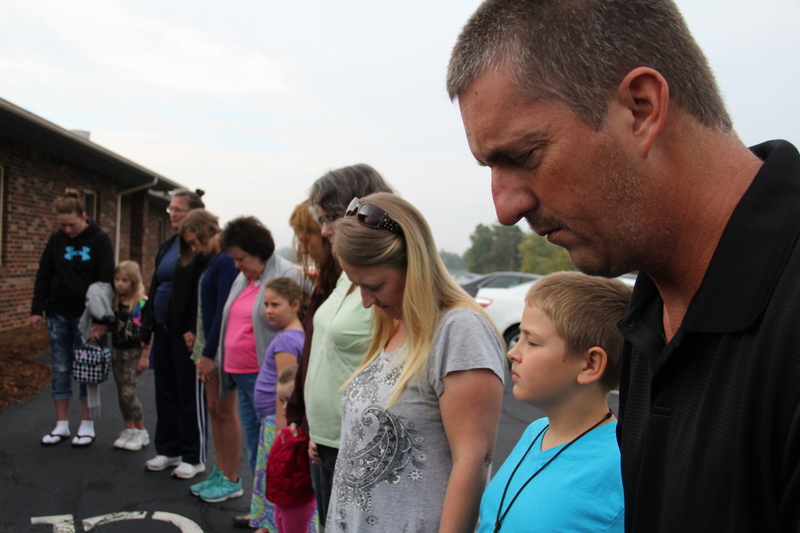 We joined with countless others across the nation today for “See You at the Pole” day. We prayed for our nation, for our leaders, for our county, our city, our school, and for revival. We talked about how in 2 Chronicles 7:14 the Word says, “IF my people who are called by MY Name will humble themselves and pray and seek My face and turn from their wicked ways, I will hear from Heaven and will forgive their sins and RESTORE their land.” We prayed for the restoration of our nation and that there would be a great returning to the foundation on which this great nation was established. We prayed over our students and that God would guard them and grant them great wisdom as they grow in relationship with Him more and more every day. We asked God to raise them up as mighty leaders of great influence and that He would use them in powerful ways to advance His Kingdom. After our time of prayer and worship, we went inside for our morning devotion time. Today our 4th through 6th grade class led our time together as a school. They planned their devotion time and ran everything from start to finish including our opening prayer, worship time, video presentations, and morning devotion. 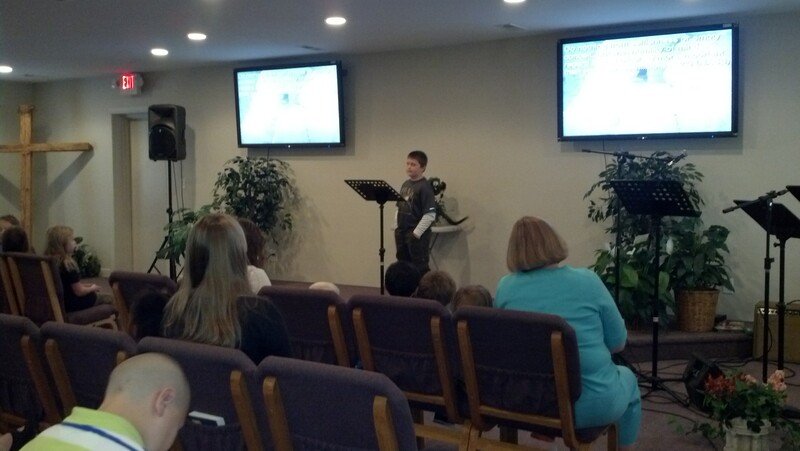 We were challenged by an incredible 4th grade student to be thankful in all circumstances as he read out of 1 Thessalonians 5:18 and showed us pictures of impoverished children from his father’s recent mission trip to Guatemala. He also read Philippians 2:3 “Don’t be selfish, don’t try to impress others; Be humble, thinking of others as better than yourselves.” What a powerful reminder of how we should strive to be like Christ every single day. I was so moved as I watched God pour out through this mighty young man today as he ministered to our student body and our staff. I was also so moved as I watched one young man that was in tears with fear before starting our assembly time, pray boldly to close our service. He gained great confidence this morning as the Lord helped him to overcome his fear! I know that this is only the beginning of great things to come! We are truly training and equipping the next generation one day at a time, not only in wisdom as they learn in class, but more importantly in Truth as we spend time together every day learning more about God’s Word and His plan for our lives. I am honored to have the privilege of guiding these precious ones that God has entrusted to us for now. I cannot thank Him enough for all that He has done.